AmaZulu Lodge St Lucia is a top class four star accommodation located in the village of St Lucia South Africa. This is the gateway to the iSimangaliso Wetland Park. Amazulu Lodge St Lucia Accommodation cater for all travellers from young to old. Amazulu Lodge St Lucia Accommodation gives you a Zululand African experience with a 4-Star touch. After a restful night sleep at Amazulu Lodge St Lucia Accommodation we will serve you a scrumptious breakfast in the morning. Our friendly and helpful staff are always around to make sure that your stay is a memorable one. After booking all your excursions you can sit back and relax. Have a drink at your balcony which surrounds our beautiful garden and swimming pool. The region is also known as the Elephant Coast, in the North-East of the province Kwazulu-Natal. With 280 km of unspoiled coastline on the Indian ocean, the park stretches from Dawson Rock to Mpelane in the South to the border of Mozambique in the North. Inland of the coastal area, you are in the heart of Zululand, the Zulu kingdom with its splendid, undulating hills, lush Savannah and grasslands. St lucia Town is situated at the tip of the long stretched peninsula between the St Lucia Lake estuary and the Indian ocean and is one of the main attraction poles of the iSimangaliso Wetland Park (Greater St Lucia Wetland Park). This park of 328000 hectares, has such an ecological value, that in 1999 it has been declared by UNESCO protocol, as South Africa’s first World Heritage site. 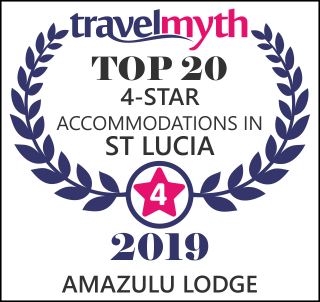 The AmaZulu Lodge St Lucia team strives to offer our guests an exceptional accommodation and service at international level. We allow you to enjoy an experience of a lifetime. Come and enjoy AmaZulu Lodge in St Lucia South Africa. 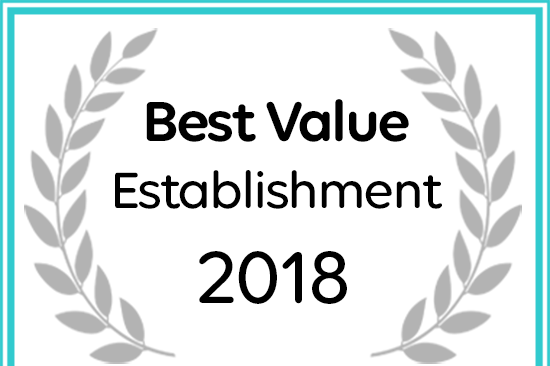 AmaZulu Lodge has been named a Best Value Establishment by Afristay. 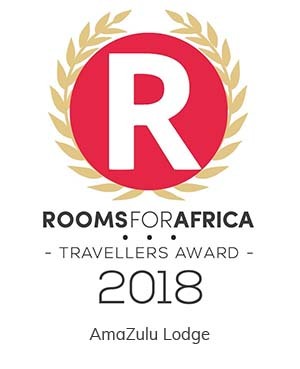 Hall of Fame: Service Excellence and Luxury Accommodation in St Lucia, Elephant Coast.